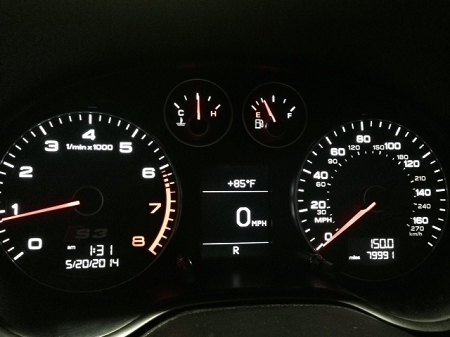 Audi A3 8P Instrument Cluster Cloning Service. Service allows use of donor instrument cluster in case of a failure of an upgrade to newer 2009+ facelift cluster. Service involves cloning of the secure block (containing immobilizer data, odometer, as well as all current keys) from existing cluster to a donor cluster.. This process requires shipping of your existing instrument cluster in for secure block (immobilizer and odometer) data capture. Once captured we then clone the information onto the donor dash and ship both units back fully working, plug and play. If upgrading to a face-lift cluster, minor tweaking/coding of the ABS/ESP might be required by VCDS. We will provide all required info given the vehicle / cluster we are working with. This is a Service Only, which means that customer is responsible for providing a compatible donor instrument cluster. This is a Service Item Only. See our other service for a package (Donor Cluster) with Cloning Service.